The showpiece won’t be ready until late 2018, however. That’s a delay from the company’s original plan to open in Italy this year. Starbucks’ first foray into Italy will be a big, high-end Roastery located in a historic building in central Milan. 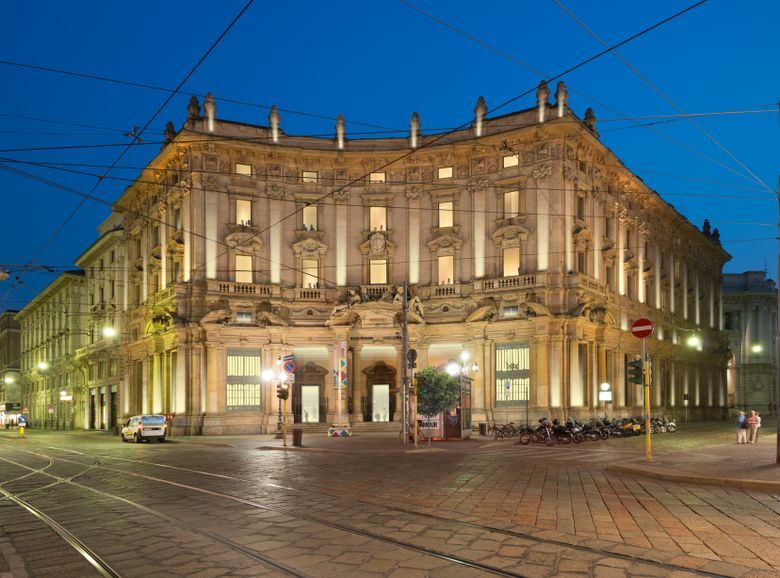 The 25,500-square-foot store, to be located in the turn-of-the-century Palazzo Delle Poste (post office) building on Piazza Cordusio, will open in late 2018. It will be the company’s first Roastery in Europe, and the fifth announced to date. Starbucks said early last year that it was partnering with Italian company Percassi to open the first Starbucks store in Italy, aiming for a 2017 opening in Milan. At first, the company thought it would open one of its traditional stores, Starbucks Chairman and CEO Howard Schultz said in a conference call with reporters Monday. But the success of the Roastery in Seattle, along with the other planned Roasteries in Shanghai, New York and Tokyo, made the company think about its big, high-end showpieces as “transformative” Starbucks experiences. They decided a Roastery in Milan would be a good “first quintessential experience in Italy,” Schultz said. Like those elsewhere, the Roastery in Milan will roast and feature Starbucks’ Reserve coffee beans, its premium, small-lot coffees, brewed in methods including siphon, pour-over and coffee press. Food will be made on-site by Princi, the Italian bakery chain Starbucks bought into last year. Starbucks is focusing on building the premium end of its business, with a goal of eventually opening 20 to 30 Roasteries. At the Seattle Roastery, which opened in late 2014, the average purchase is four times that at traditional Starbucks stores, while comparable sales have grown in the double digits, Schultz said. The 40 minutes that the average customer spends in the Seattle Roastery is also much higher than in traditional Starbucks stores. In Italy, Starbucks is waiting until after the opening of the Milan Roastery to decide what type of stores it will open there next. The company has already secured a number of sites in Milan but “we are agnostic at this point” as to whether the additional stores will be traditional Starbucks stores, Reserve stores — those serving the premium Reserve coffee drinks but without a roastery on site, or traditional Starbucks stores with Reserve bars in them. Schultz declined to say how many stores the company plans to open in Italy but he said that, historically, Starbucks has opened 10-12 stores in its first year in a new country.